I just moved an old table into my studio and fixed it up with scraps of collage papers! It is the perfect height for standing and working, and I like to stand when I paint. The best part is that this table was totally free! It was left here in the house when we moved in. Here are a few photos of my process and I also did a little Facebook live video while I was working on it. I’ll post that here for you, too. This is what the table looked like before. Its just a cheap table with a dark finish. I began transforming it by painting the legs and the edge with some chalk type paint that I had left over from all the home projects that I’ve done lately. It’s a little wrinkled, a little messy, and a lot of happy! Have you ever transformed an old piece and given it a new purpose? I’d love to hear about it, if you have! 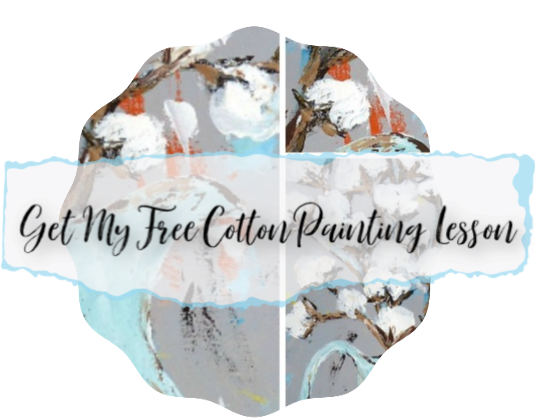 If you’d like to give this a try yourself, here are my affiliate links to supplies like I used.